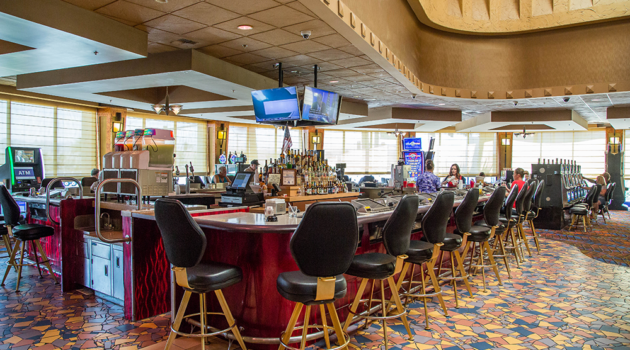 Join us at The Riverside Resort's beautiful bars & lounges, located throughout the Casino! Sit back, relax and have fun at Don Laughlin's Riverside Resort. 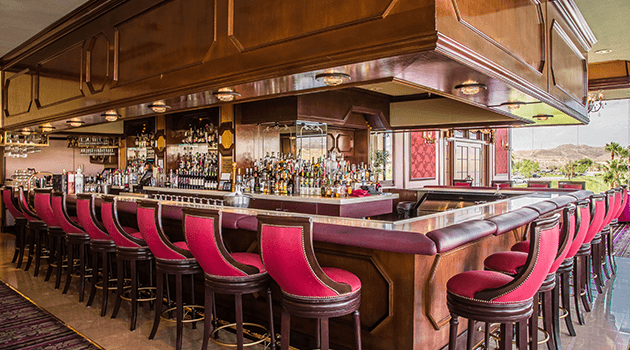 We offer seven Bars and four Lounges for your enjoyment! From the World Famous 'Losers’ Lounge' to the elegant Gourmet Room 'Happy Hour' find your favorite and have a wonderful time! 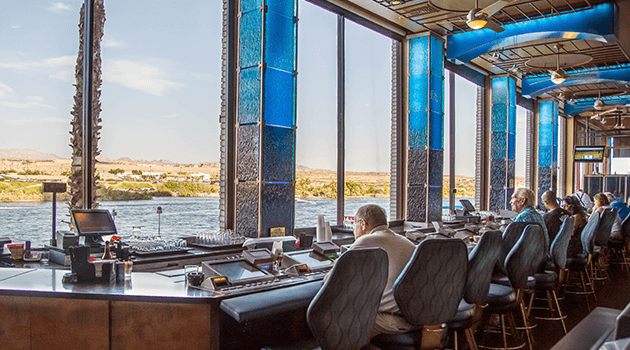 The Main River Bar sits in the Pit area of our Main casino, play your favorite slot games as you enjoy the majestic views of the beautiful Colorado River. 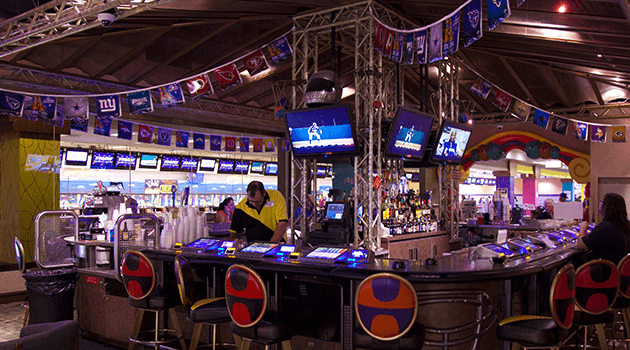 The Pit Bar, located in the central pit area next to our KENO Lounge. A great place to cool off, relax and meet with friends. 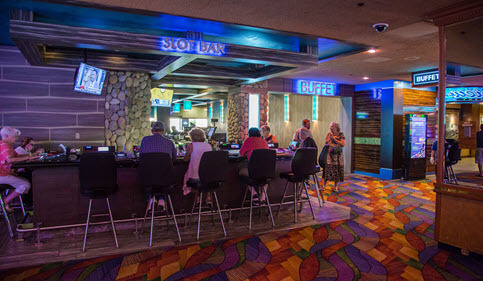 The Slot Bar, located at the entrance of the Riverside Buffet, is our contemporary slot bar which offers a comfortable spot to meet friends and family. Enjoy your favorite drink in a casual, intimate atmosphere before or after dinner. 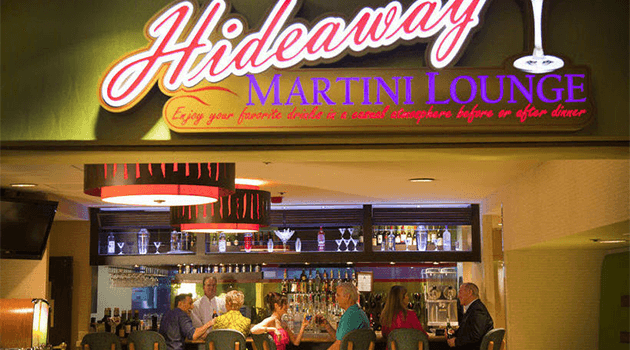 The Hideaway Martini Lounge is on the second floor between The Gourmet Room and The Prime Rib Room. Join us at The Gourmet Room Lounge for an elegant Happy Hour. Enjoy a cocktail and an appetizer as you watch the sunset over the beautiful Colorado River. Cheer on your favorite Team and enjoy drinks with friends at The Sports Bar & Lounge! 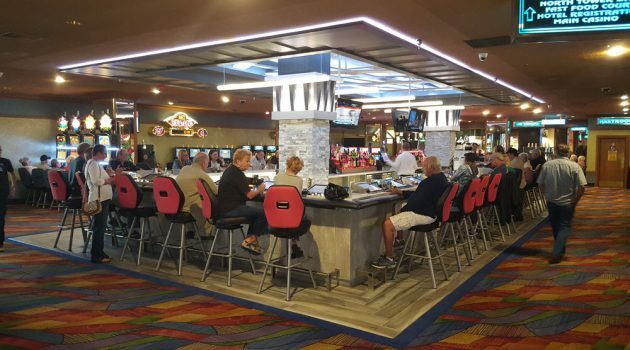 Our newly re-modeled North Tower Bar has an airy atmosphere, great Bartenders, four televisions so you can keep an eye on the games and new comfortable chairs each with its' own slot machine! Stroll over to The South Tower Bar and pick your favorite flavor 'FAT TUESDAY' Margarita! The South Tower is our Non-Smoking Casino. Join us for Hot slots and Cold beverages! 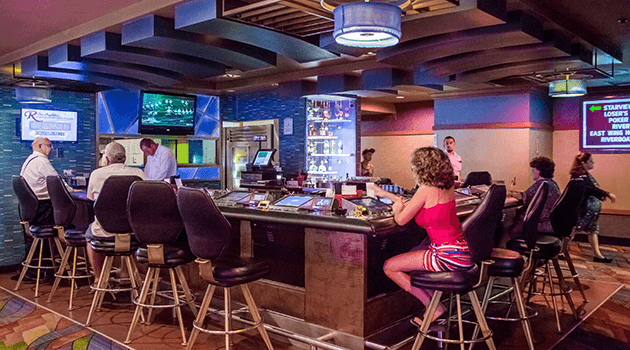 Our Casino West Bar offers a beautiful, full-service bar, with plenty of seats, each with its' own slot machine! 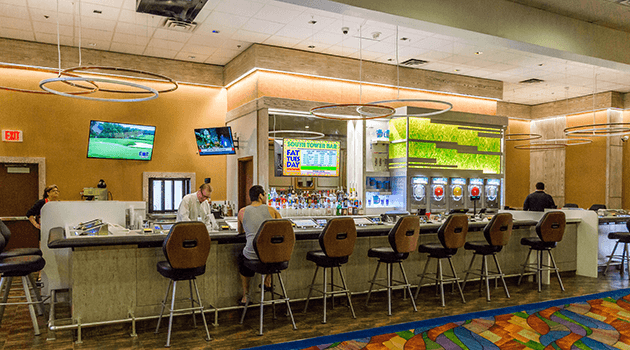 Casino West also serves several IPA's for your enjoyment! 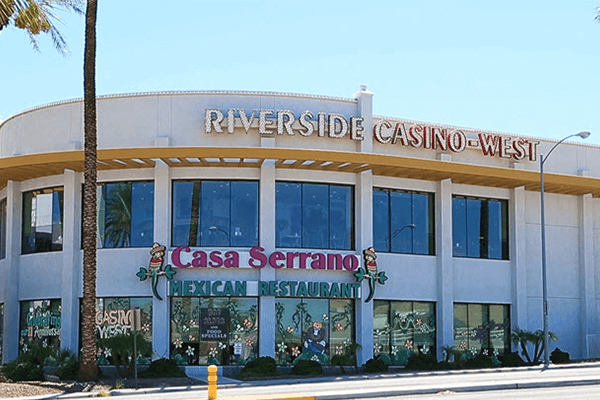 Riverside Casino West is conveniently located on the West side of Casino Drive and features a 10,000 sq. Ft. casino with more than 180 slot and video poker machines, as well as a full-service cocktail bar. Breakfast is available from 8:00 AM - 11:00 AM at the Casino West Snack Bar & our newest addition KRISPY KRUNCHY CHICKEN! Available 10:00 AM - 10:00 PM. Casino West - A Locals Favorite! Riverside Casino West is located on the West side of Casino Drive and is easily accessible from the street, via our 560-space covered parking garage, or via the pedestrian walkway from the 2nd floor of the Riverside’s North Tower.